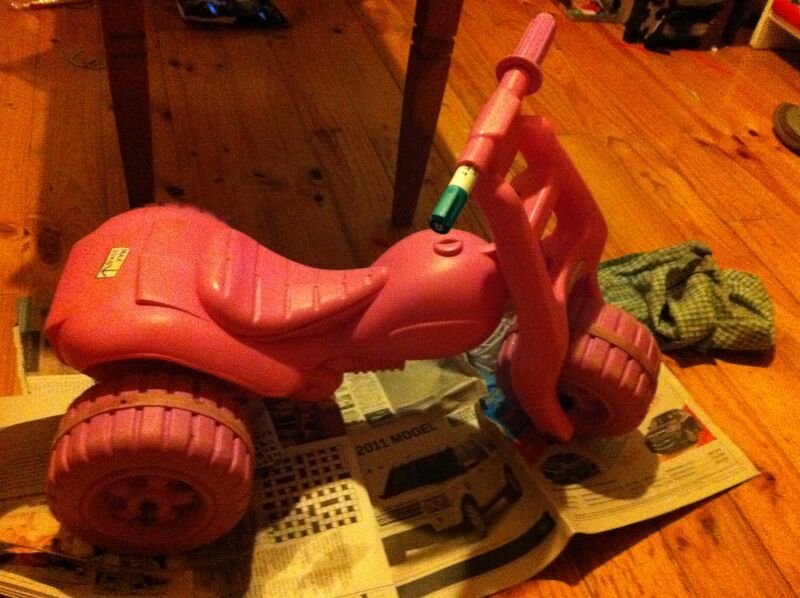 I found this little dragster in a rubbish pile on the curb at the end of my street. She was a dirty & broken chubby little three wheeler bike. 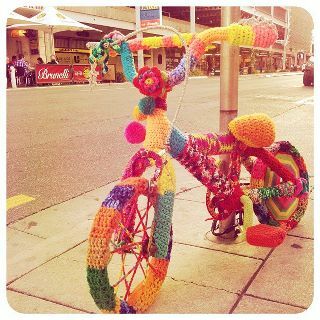 Yarn bombing can be done on a budget if you recycle items such as bikes, vintage knitting needles & wool from unpicked jumpers. 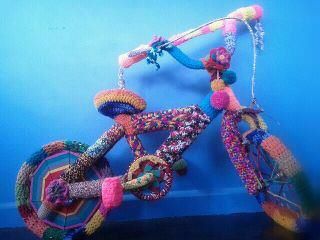 This entry was posted in Yarn bombing and tagged bike, recycle, rubbish, yarn bombing on February 28, 2012 by yarnbomb. 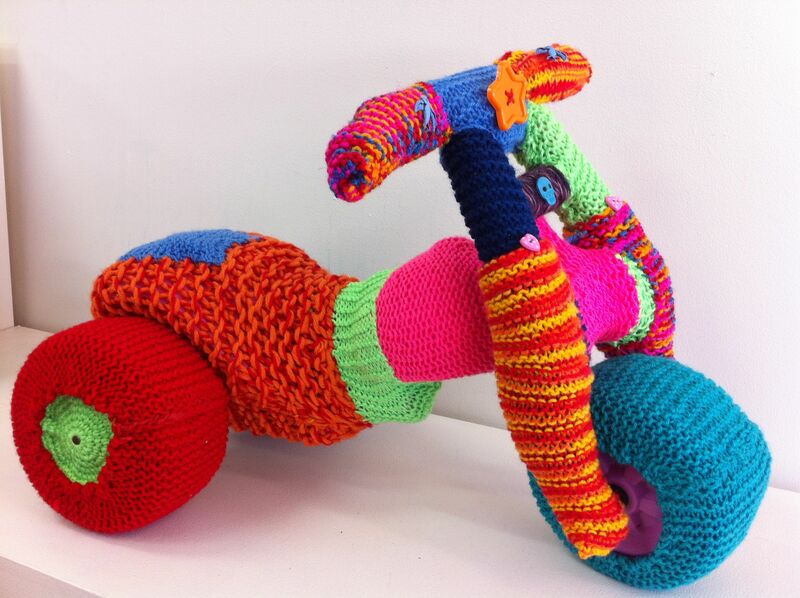 This bike was yarn bombed by a group of 6 women from my craft club. 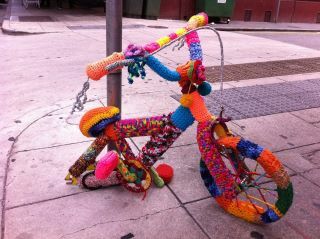 The bike was decorated for a street exhibition in Adelaide. 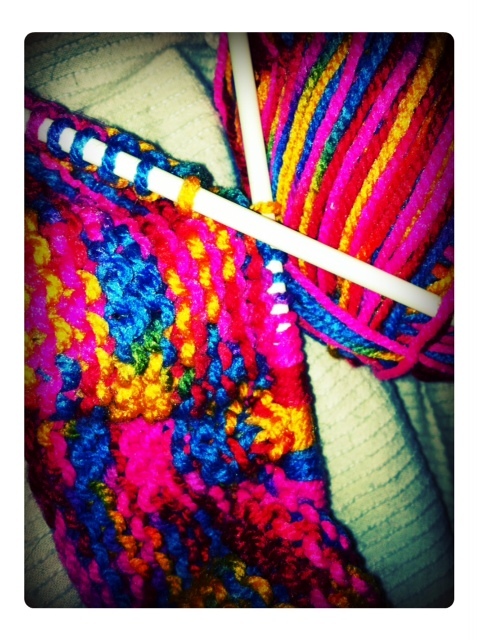 Using crochet, knitting & pompon’s. 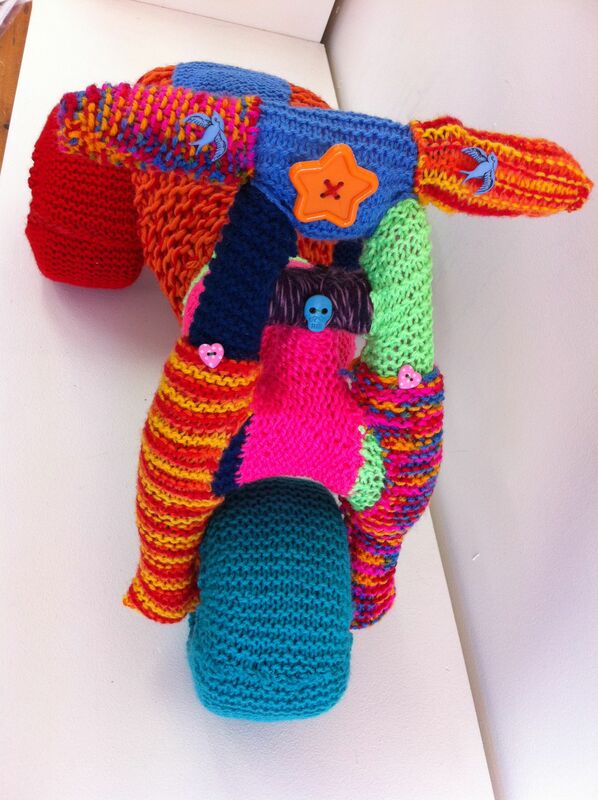 Two wheels were stolen from the bike but they were both eventually returned, which surprised me. One wheel was confiscated by a local barman from a drunk patron & the return of the other wheel remains a mystery although we did get it back after leaving a tear-stained sign on the bike asking for the wheels return. 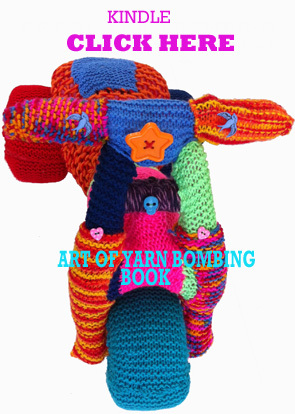 somebody also stole our hand-made pompon’s which were sadly never returned. This entry was posted in Yarn bombing and tagged bike, crochet, knitting, yarn bombing on February 27, 2012 by yarnbomb.